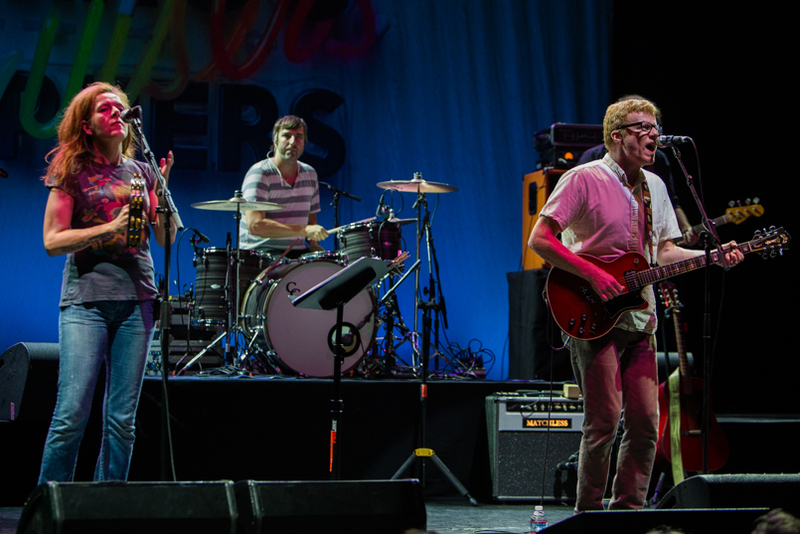 Six albums into their career, The New Pornographers are embracing their longevity, their acclaim, and their success. Friday night’s headline set at the Wiltern Theatre was their largest headlining gig ever in Los Angeles (though it did not sell out), and clocking in at just under two hours, it was also their longest. But, maybe even more noteworthy was the fact that they sounded better than they ever have. With often eight people onstage, four different lead vocalists, and a wide arrange of auxiliary instrumentation, the sound was impeccably mixed to highlight just the right Pornographer at just the right time. This also allowed for appreciation of the group harmonies. A song like “Testament to Youth in Verse”, long a highlight of their live set, let A.C. Newman, Dan Bejar, Neko Case, and Kathryn Calder sing as a whole and as individuals, with each discernible from the whole, but coming together to make a sum greater than each of their individual contributions. I guess that’s what harmony is supposed to be. 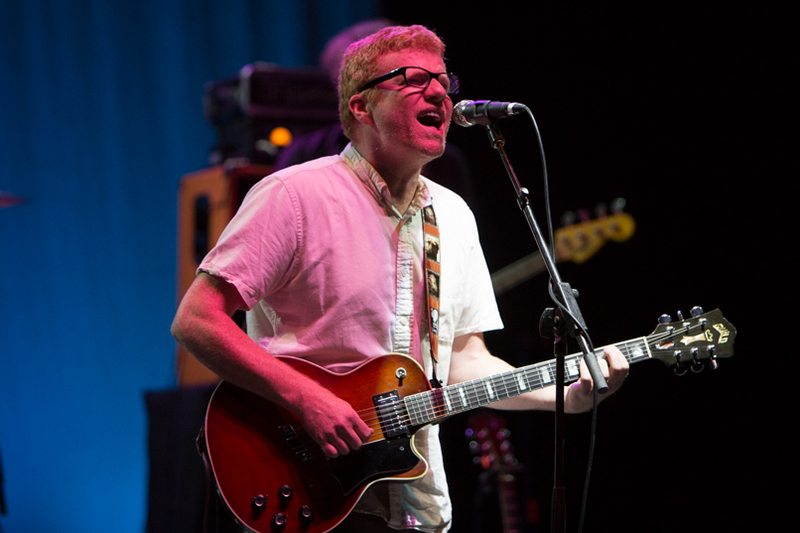 And that might be the greatness of The New Pornographers in a nutshell. Newman, Bejar, and Case all have successful enough careers outside of the group. Case could probably headline the same venue on her own, and Bejar’s Destroyer is peaking in terms of both acclaim and commercial achievement. 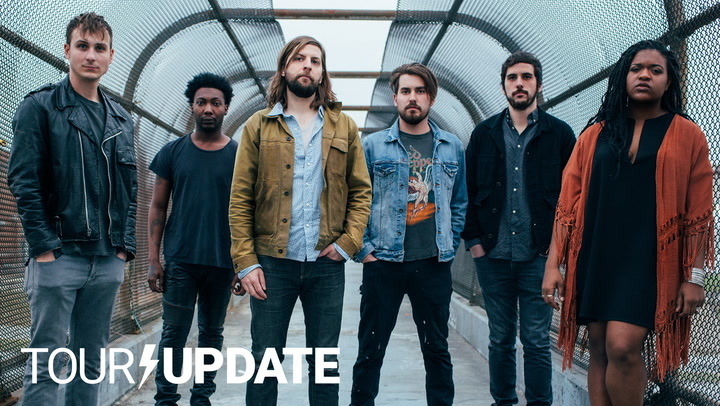 But when they all come out to make a record or tour, the latter of which has become a tradition for each new album, with Bejar and Case often returning to their own projects after the initial nationwide run for each release, the members all seem to find a different level of comfortable, especially onstage. Case and Newman have terrific chemistry when they banter with each other, and both enjoy mocking Bejar with the love of siblings, as he saunters on and off stage for his songs. On this night, the band stuck mostly to the music, which was a treat as they packed the set with selections from every album. (Electric Version was the least represented with just “Testament” and “The Laws Have Changed” making appearances, and their new album, Brill Bruisers, was played almost completely.) Case took lead and reaffirmed that she has one of the best voices on the planet, as “Crash Years” and “Mass Romantic” juked and slid into magic moments of nonchalant chops. Calder was given three lead moments, nailing each shot with perfection, as “Sweet Talk, Sweet Talk” and “Adventures in Solitude” both proved to be set highlights. Bejar took the stage plenty, playing guitar through his “Myriad Harbour”, closing his eyes firmly in passion during “Jackie, Dressed in Cobras”, and showing up in the second encore with a Pacifico in hand for an impromptu set change and the terrific first-album deep cut “Execution Day”. After each appearance, Bejar would secure his microphone back on its stand before the music had stopped and take a bow before returning to the wings. And then there was Newman. The band is his band, and there was a joy in watching him watch his bandmates. During “Solitude”, he peered over at Calder, not singing to her, but watching her with a sense of pride. You could catch moments like that with all his bandmates, even the three that stood behind him. There was a sense during the set that Newman was in awe of all the talent surrounding him. And it was his songs that held it all together, with “All the Old Showstoppers” moving like a locomotive, like it needed to live up to its title, “Dancehall Domine” exploding during each chorus in a way that is probably impossible to capture on record, and “The Bleeding Heart Show” ending the first encore with what arguably is among the best songs written by anyone, ever. The old music sounded great, and the new music sounded like it deserved to stand side by side with the known favorites. 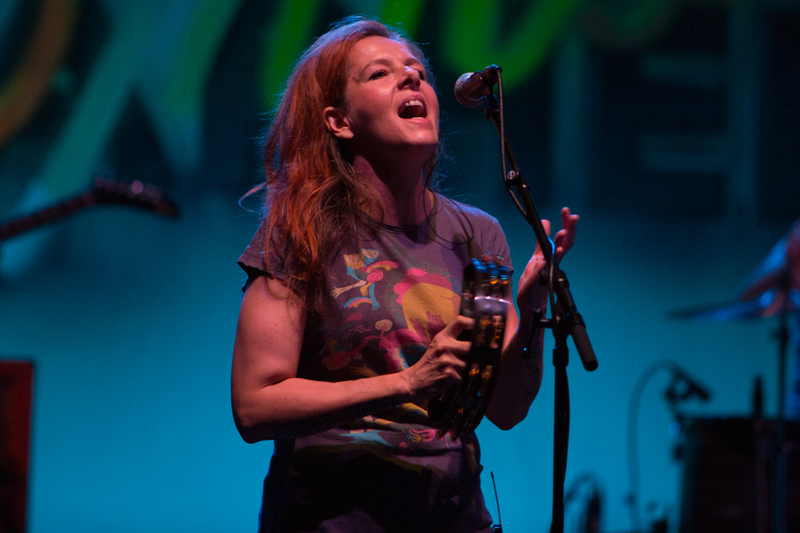 Neko Case invited everyone out for drinks on Halloween. She also threatened the always good opener Pains of Being Pure at Heart with hugs. A.C. Newman revealed he needs two harmonicas for “Spidyr”. It all added up to the kind of evening fans hope for when they choose what they are doing on a Friday night. It was a performance that their history and music deserved. It was simply great.